Can you imagine your wardrobe without denims? Can you imagine of a week off plan at a hill station without a pair denim? 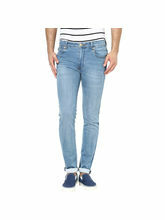 Completely no, now denims has are the essential part of the daily day to day life, you can not segregate the it. To be more precise and clear we can say, it is like a way of life! 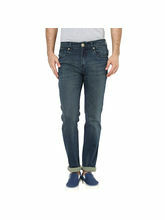 Infibeam has launched a complete stylish store of denim jeans for men. Denims are available online in various colours, material, sizes, shapes, styles and many more which will go perfect on any occasion, be it formal, casual, party or regular. 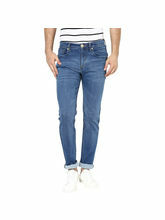 You can buy men's jeans online and can flaunt it in a more voguish and mod way. Gone are the days fashion and style were only cup of tea for the ladies, now men are equally conscious for there looks and poise. India is a country where we experience almost all weather types, whether it is winters, summers, springs or rainy season. So, pick the one that goes perfect with your style and need. At online jeans store in Infibeam, various fabrics are available such as denims are available in cotton, cotton Lycra material, denim material, blend. Denims are now more of like a way for life. They are now in the basic need for human and to provide the utmost comfort and to get in-lined with the trends, denim jeans for men are available in various patterns and styles such as designer ripped, stretch jeans, low rise jeans, relaxed fit, straight fit, slim fit, skinny patterns, distressed and many more. Colours are not something which meant only or feminine characters, there has been drastic change in men’s fashion world too and the same happened with denims also. Apart from regular blue coloured denim, now the denims are also available in black, brown, white, khakhi and in various shades of blue. You can match it up with the formal shirts, tee shirts or with jackets to give a bold and gritty look. Infibeam has launched the array of men's fashion products from where you can buy men's clothing online at great offers and discounts. Explore from a range of men's jeans online where trusted and famous brands such as Levi's, Pepe, Spykar, Wrangler, Lee, Diesel, Jack & Jones are available at unbelievable discounts and deals. It also provides the option for selecting among various color options, fabric, style; which will be directly delivered at your doorstep within the prescribed Online shopping in India is a booming trend nowadays and it is a luxury which facilitates you to buy men's jeans easy shopping with great convenience and ease.